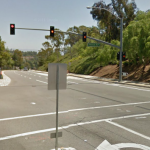 Santa Ana – On Thursday, pedestrian Daniel Rubio or Orange was struck by a truck as he was walking in Santa Ana. The accident happened at 2100 W. 17th Street around 9:30 p.m. Rubio was struck by a pick-up truck. Rubio suffered fatal injuries, paramedics declared him dead at the scene. He was only 19 years old. The identity of the truck has not been released, it is not clear if he was under the influence of drugs or alcohol at the time of the accident. 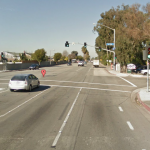 The circumstances surrounding the accident are unclear, witnesses should contact the Santa Ana Police Department. Our condolences go out to the Rubio family for Daniel’s untimely death. I've known Daniel since he was in elementary school he's a friend of my son. He was kind of quiet but always quick to say hello to me, very polite. Our family will truly miss him. Our condolences go to his mother and family. Oh Danny I was so happy to have had to chance to hug the last time I did. I love you as though you were my own. I will miss you honey, some day I will see you again some day your in my thoughts and prayers honey. I love you. Wow im so sorry ma'am .. I will be prayerful for u all also your daughter .. I was out there at the bay revival in santa ana and earlier this year in Phoenix my prayers will touch heaven for u all.